Mind Control stories are well-known among truth seeking investigative journalists. 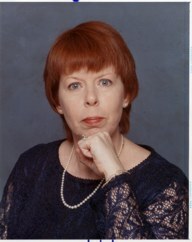 In the Introduction to Ms. Sullivan’s book, H. Michael Sweeney, author of MC Realities: Understanding, Detecting, and Defeating Mind Control and Electronic Weapons of Political Control Technology, writes: “In reality, the mind of a normal child readily splits into alter-personalities when repeatedly and inescapably subjected to unspeakable terrors. The split-off alter contains the memories of the terrors behind a veil of amnesia. “Though deeply scarred, this terror-ridden fragmentary personality will be suppressed, leaving the primary self relatively free to continue in life without further displaying any symptoms of the suffering the victim has endured. “Sadly, this desperate form of self-preservation can be manipulated with evil intention. “In mind-control programming, this effect is achieved time and time again, creating dozens, hundreds, or even, as with Kathleen Sullivan, thousands of fragmented alter personalities. "Each tormented alter has a unique identity, life experience, personality, set of moral values, skills and capabilities, fears and weaknesses, and even a unique understanding of reality itself. “In fact, some can be so detached from reality that they believe they are objects or animals, not even human at all. These beliefs reflect their programming. How they are actually used is up to their programmers or handlers. “Programmed operatives are not fictitious entities invented for theatrical productions. Take The Manchurian Candidate, an action-adventure-spy thriller. It is considered a form of imaginative entertainment; however, the book and film were based on top-secret, classified information involving the intelligence activities of Red China, Korea, and the United States. “This knowledge is in the hands of other nations, too, including the ‘good guys’ in England, Canada, and Australia. As early as World War One, countries on both sides relied on early ‘prototypes’ for spy work, ever advancing the technology and learning by its use as they went. Mind control stories are often seeded with disinformation or filtered by handlers; Kathleen Sullivan’s book is one of the few authentic reports.